In Pennsylvania, a judge ruled that the criminal assault charge against Bill Cosby is worthy of a trial, despite a claim from a former District Attorney that he’d granted the comedian immunity 10 years ago. 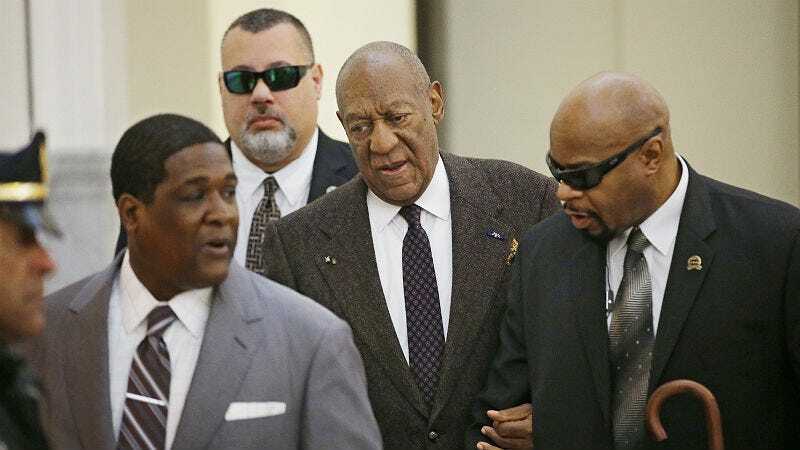 Judge Steven O’Neil didn’t go for Cosby’s defense team’s argument that a word-of-mouth agreement between the actor’s late lawyer Walter Phillips and former Montgomery County prosecutor Bruce Castor should protect Cosby from prosecution a decade later, according to the Associated Press. Judge O’Neil did say in his ruling that “witness credibility was a factor” in his decision. O’Neil also rebuked the defense’s plea for current District Attorney Kevin Steele to be removed from the case. In December, Cosby’s lawyer Monique Pressley claimed Steele had made her client’s case “political football” as a way to rally voters during his recent successful election run. On December 30, Cosby was charged with aggravated indecent assault in connection to the case of Andrea Constand, who alleges he sexually assaulted her in 2004. If convicted, Cosby could face up to 10 years behind bars.